Below are the works that have won the eCon Awards Voting and awarded the eCon Awards 2010 for Animation, Artwork, and Game of the Year. Interview with the Contributor of the Year is also listed below. A big congratulation to the winners and many thanks to all the contributors! Alex Fu is a member of PowerPoint Heaven Discussion Board. He joined the community in the July 2007. Alex specializes in graphic design and VBA. 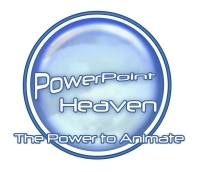 He has created many fantastic artworks in PowerPoint over the years. 1st Runner-up for Kinetic Typography Contest. Contains stacking typography animation and many unique transitions. Kinetic Typography by Divyansh achieved 160 of 248 (65%) votes. 1st Runner up for Comic Book Hero Contest. Featuring The... Facebook! Comic Book Hero has achieved 100 of 207 (48%) votes.